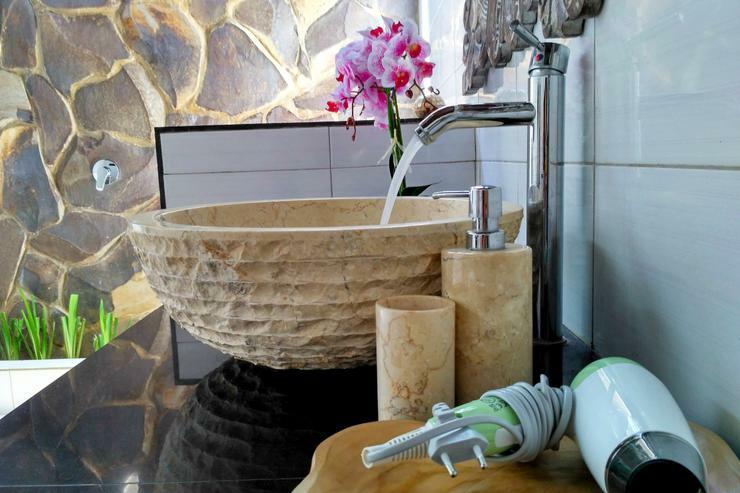 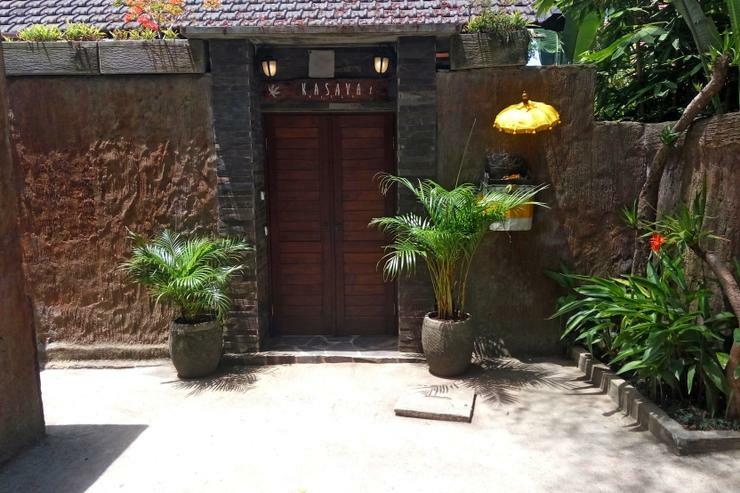 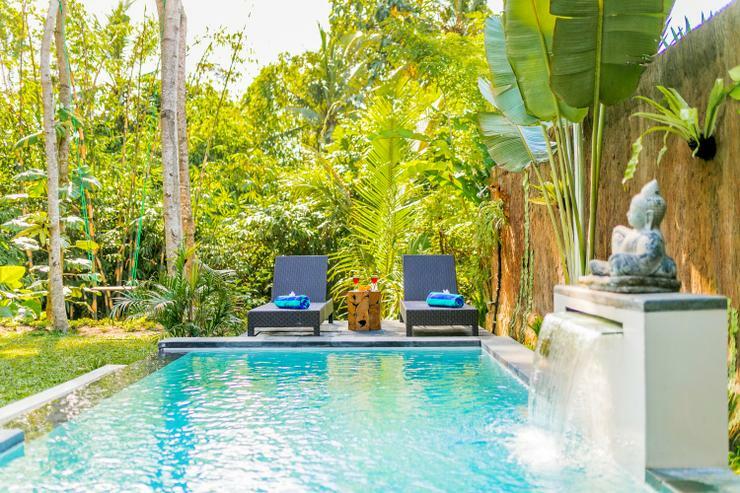 Located in Ubud within 1.9 km of The Blanco Renaissance Museum. 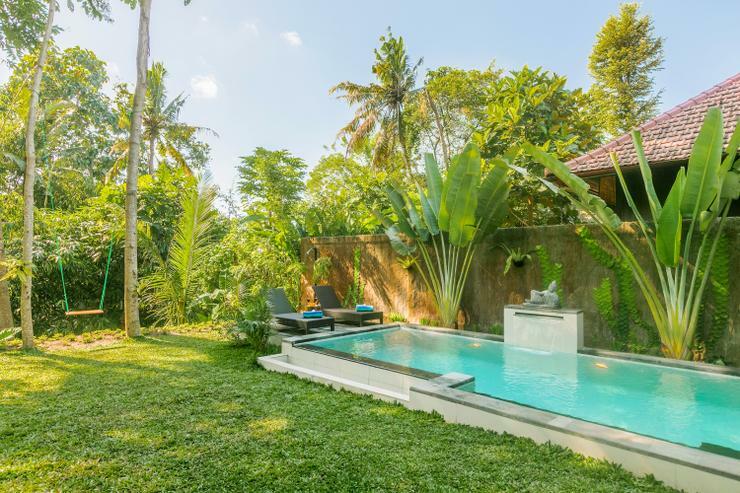 Ubud Palace is 2.9 km from Ubud Kasava. 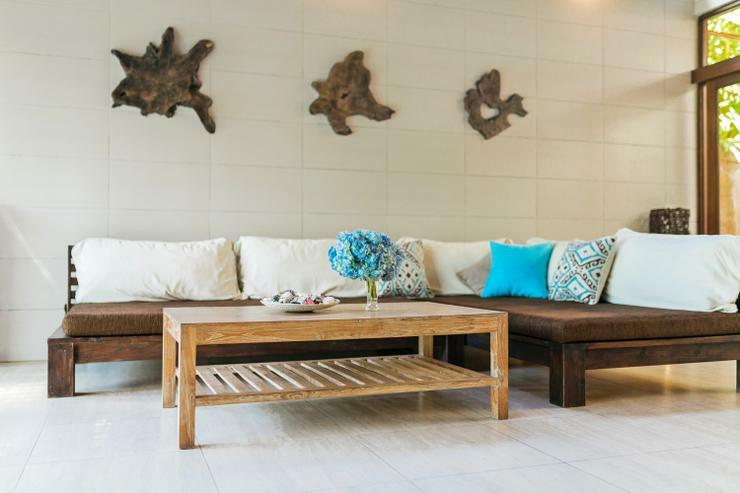 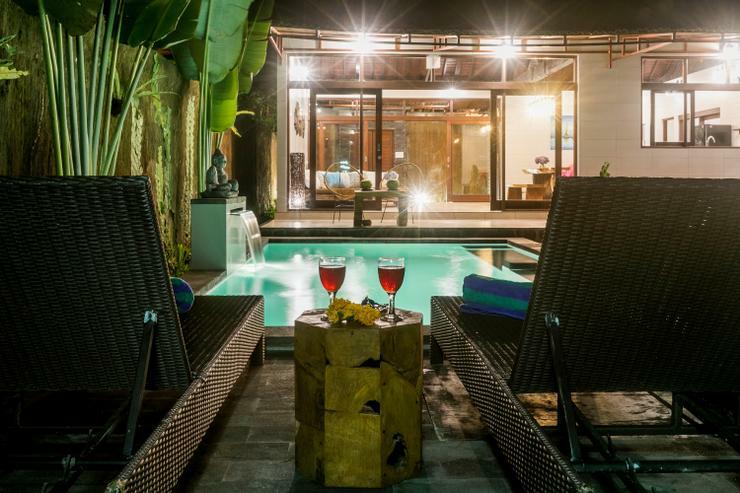 The nearest airport is Ngurah Rai International Airport, 38 km from the villa. 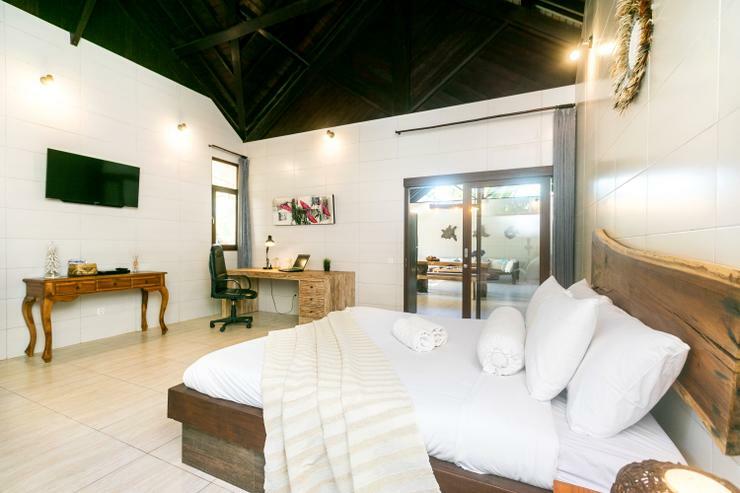 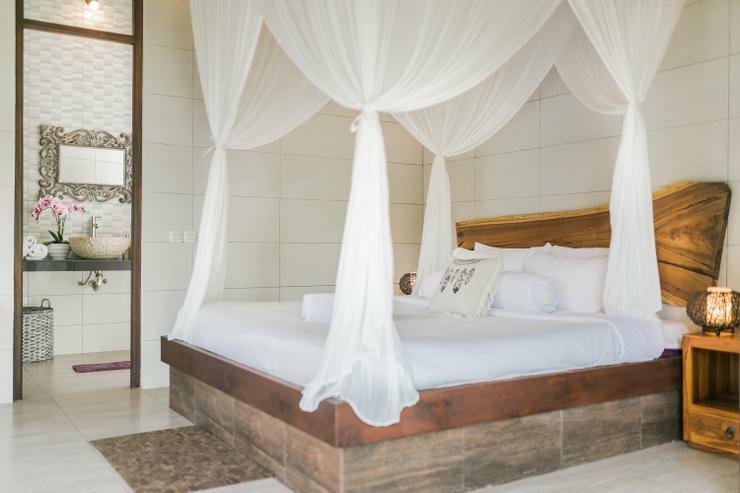 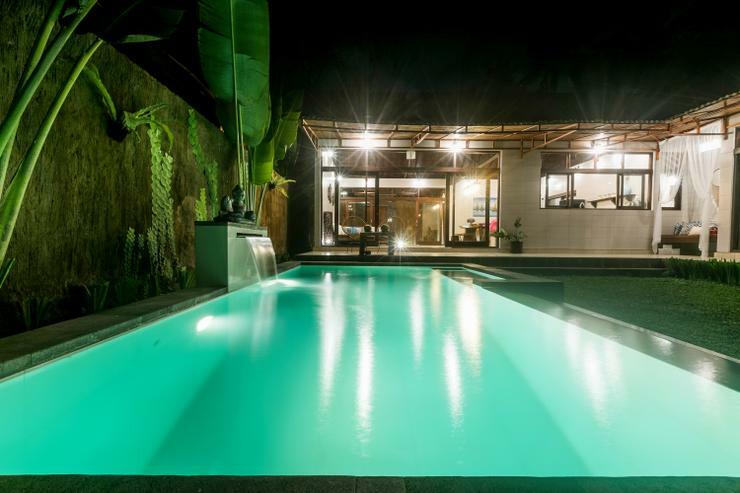 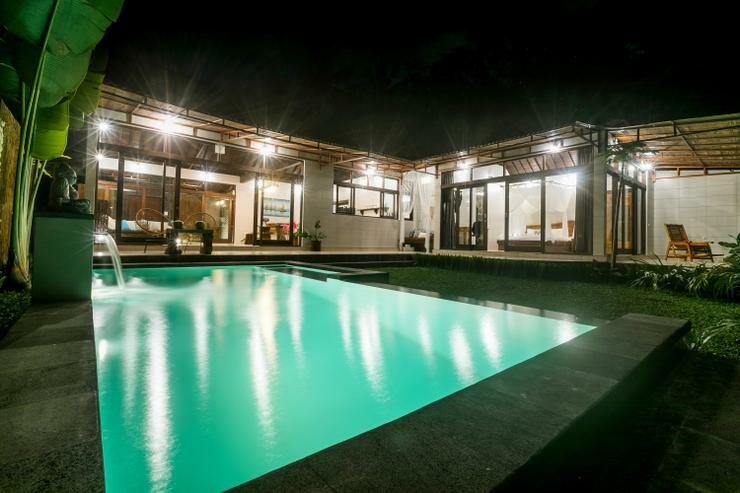 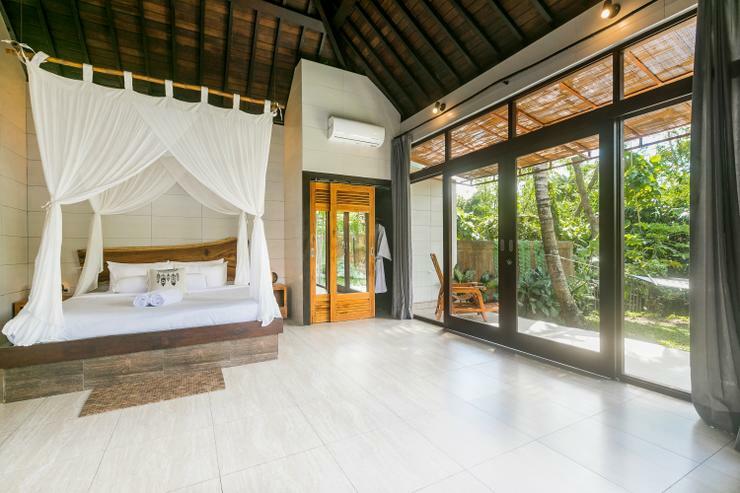 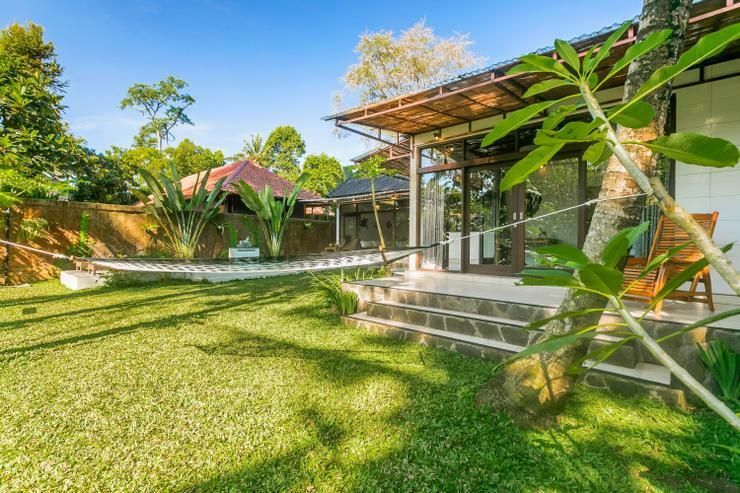 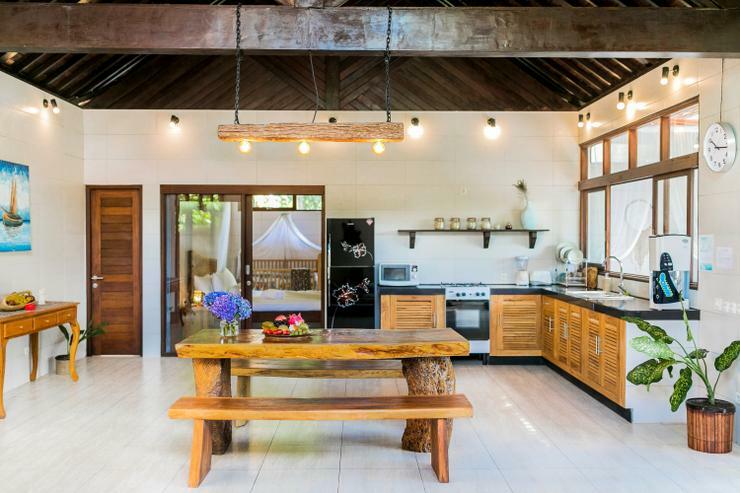 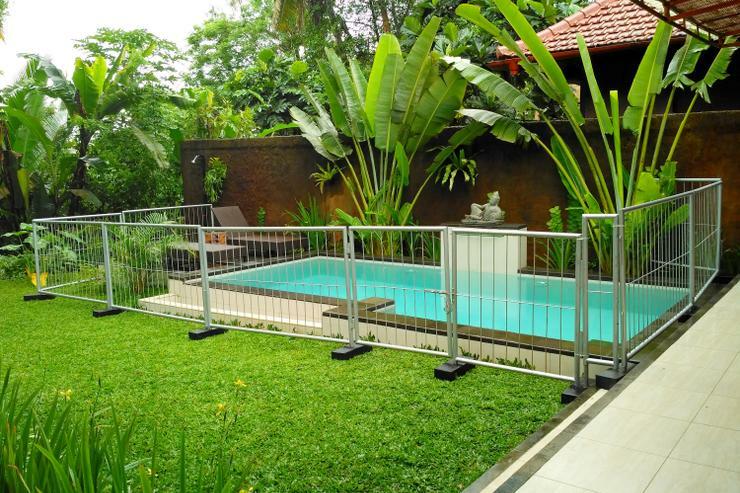 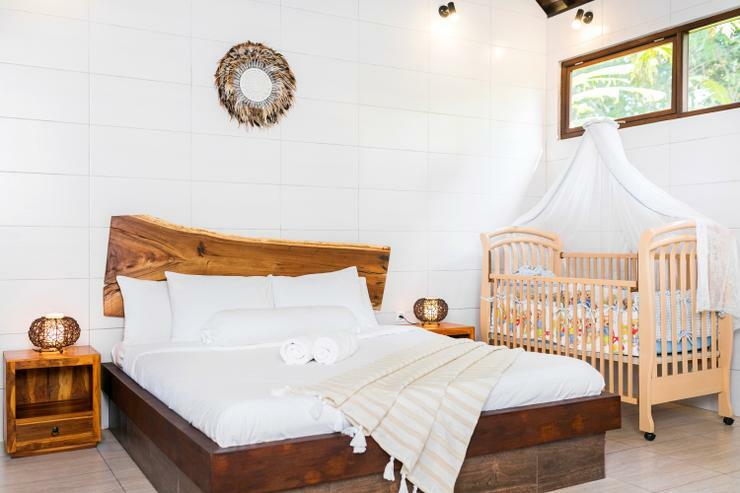 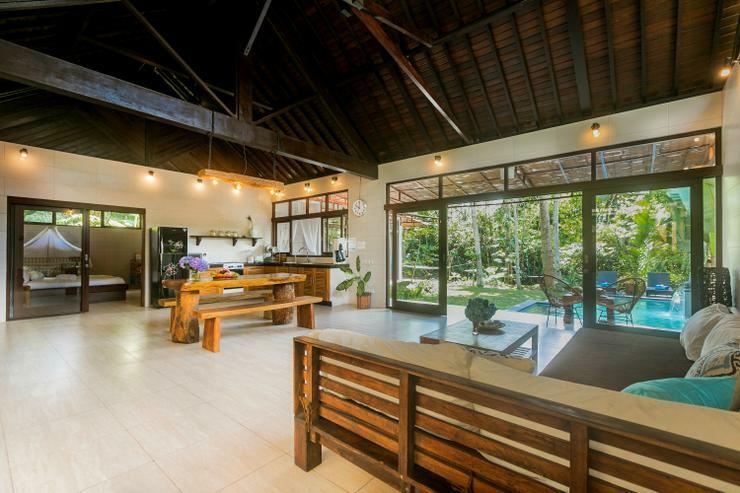 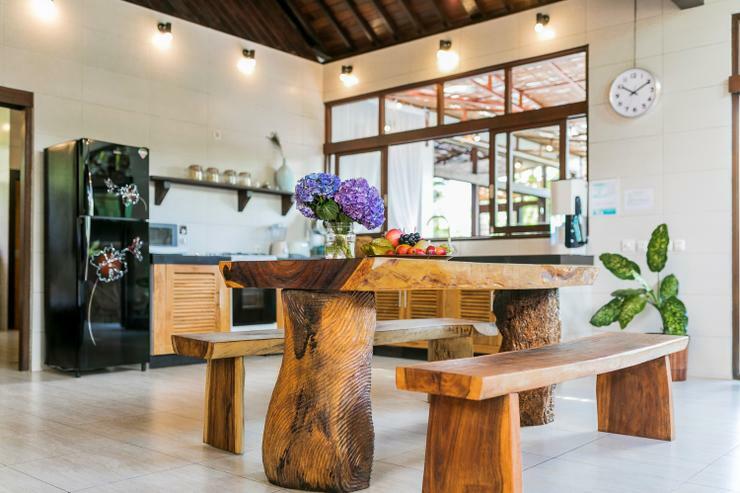 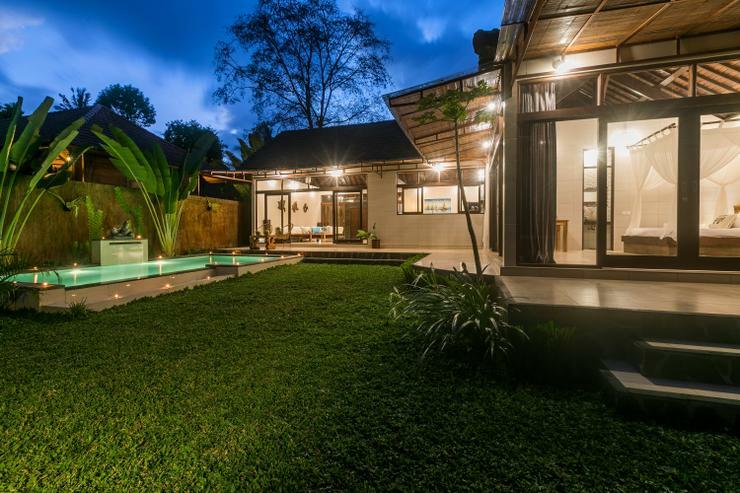 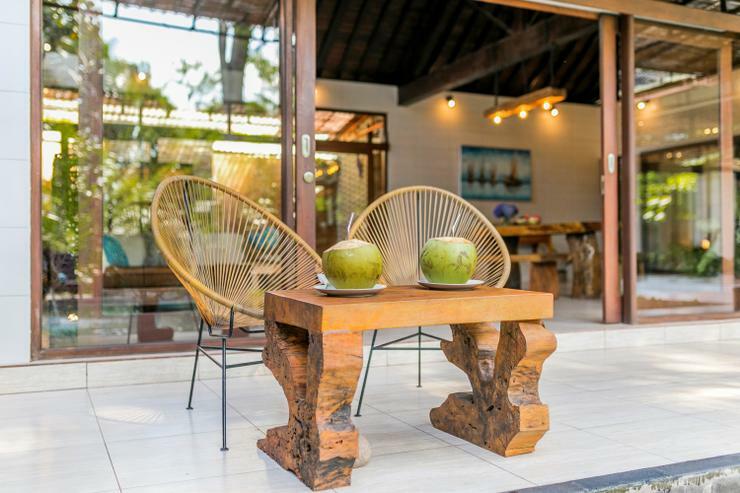 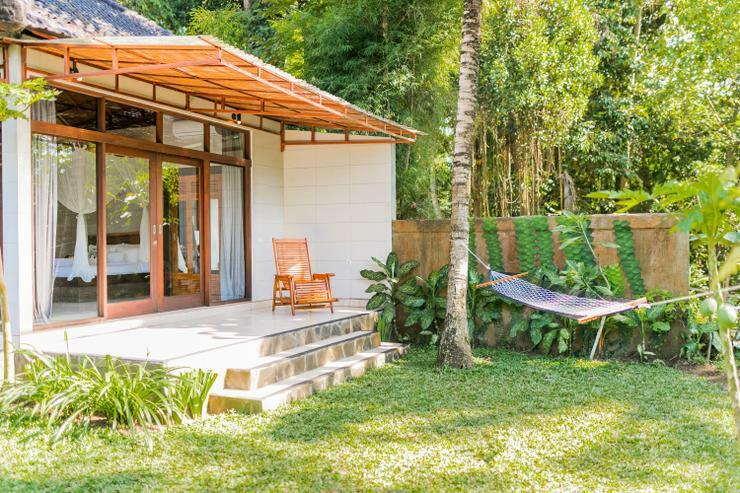 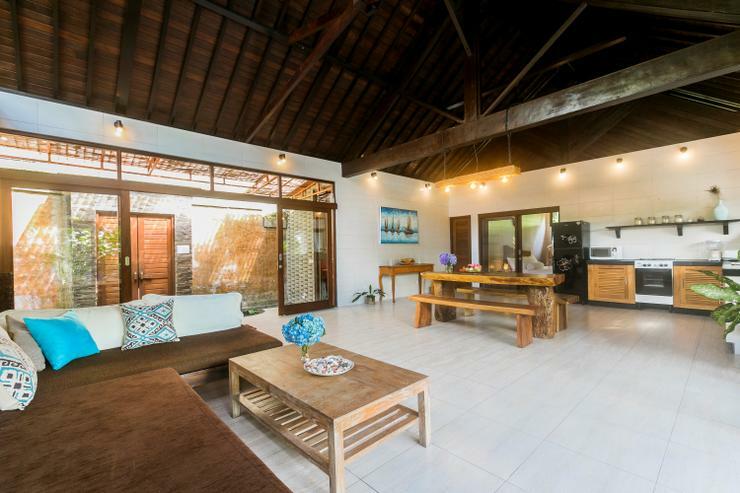 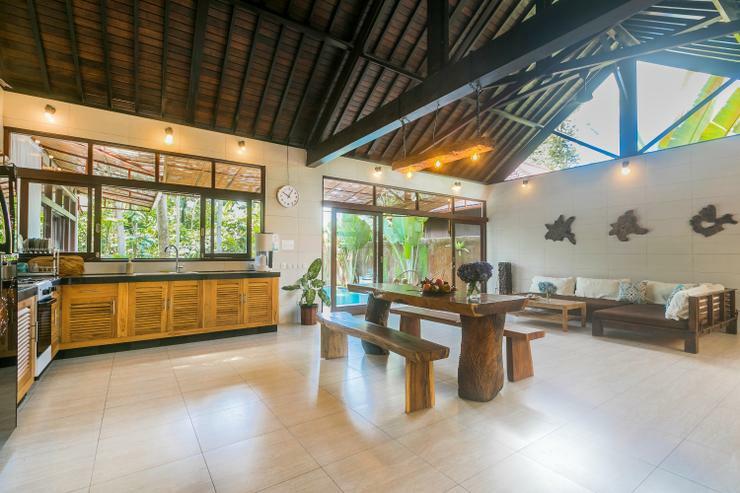 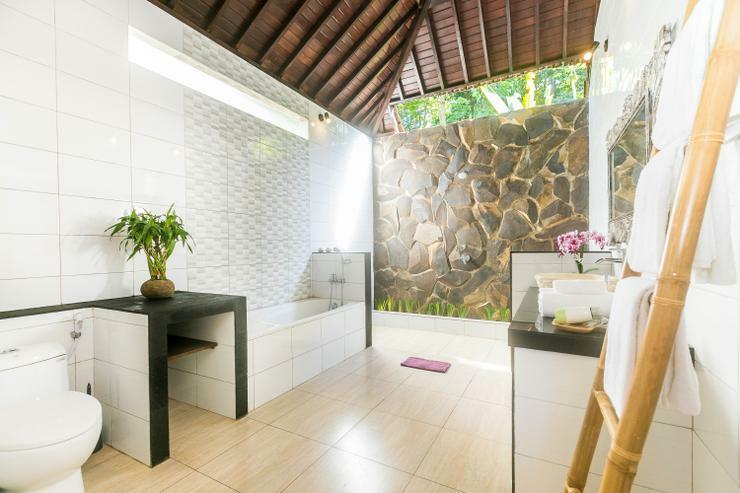 This modern 2-bedroom jungle villa is located in a quiet rural area close to Ubud center – the art and spiritual capital of Bali. 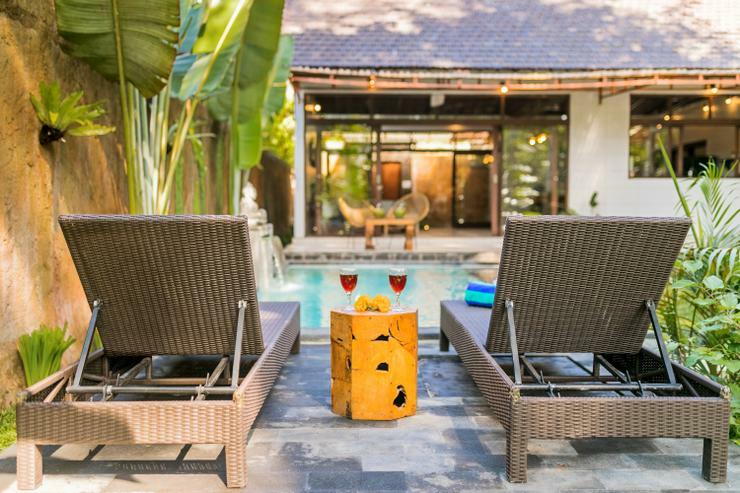 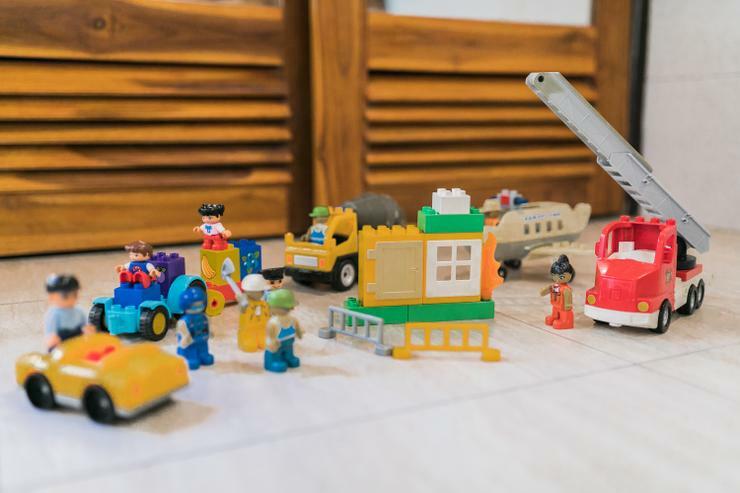 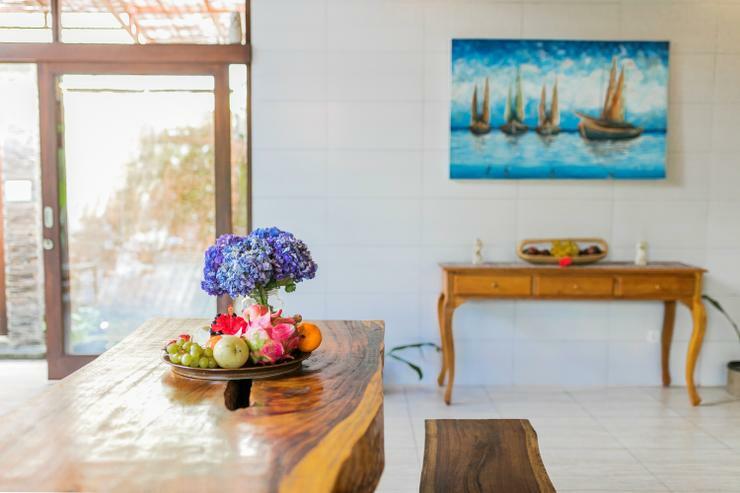 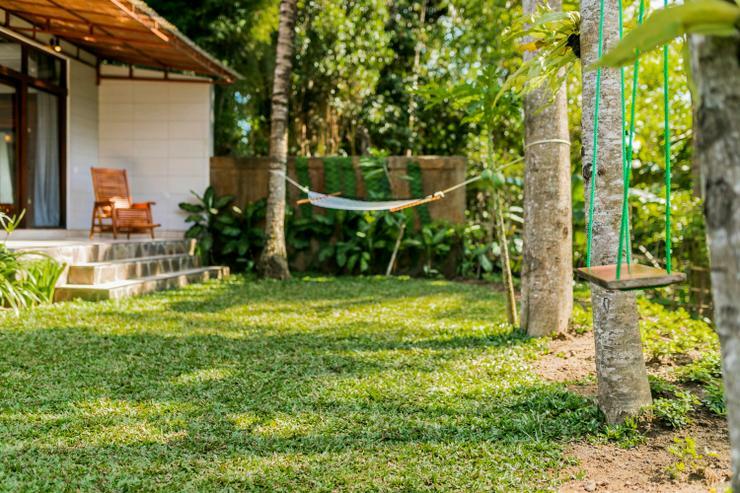 The property offers a lush garden with private swimming pool and chillout lounge as well as an airy living area combined with a fully-equipped kitchen. 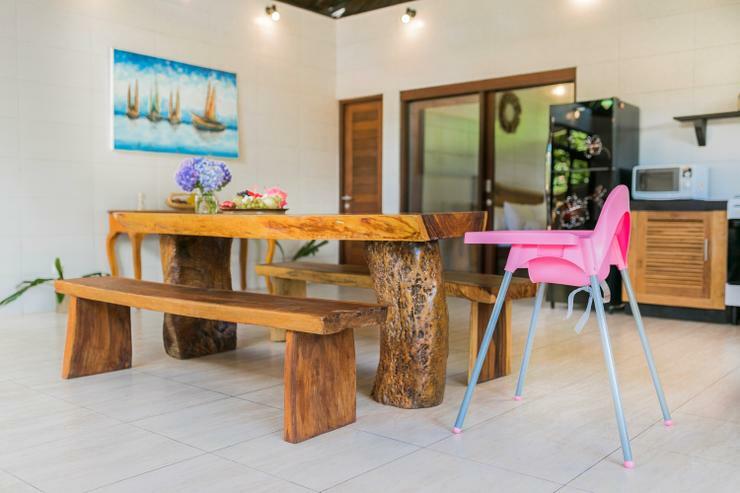 A large dining table can accommodate up to 8 guests for a family gathering or a party. 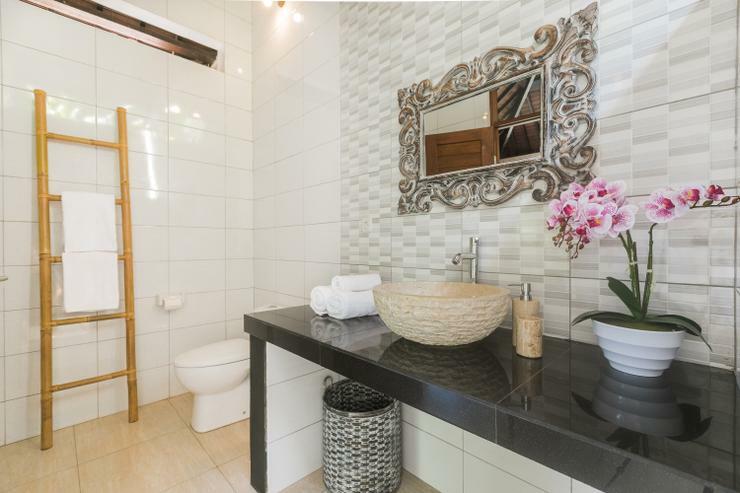 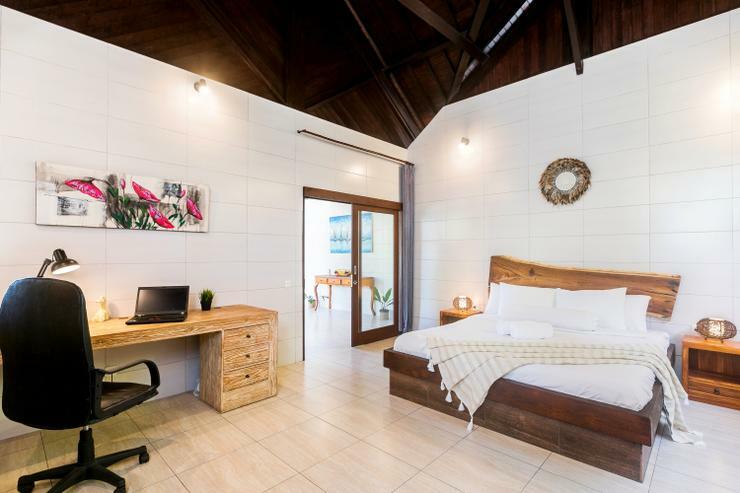 Both bedrooms are very spacious and have tastefully decorated en-suite bathrooms. 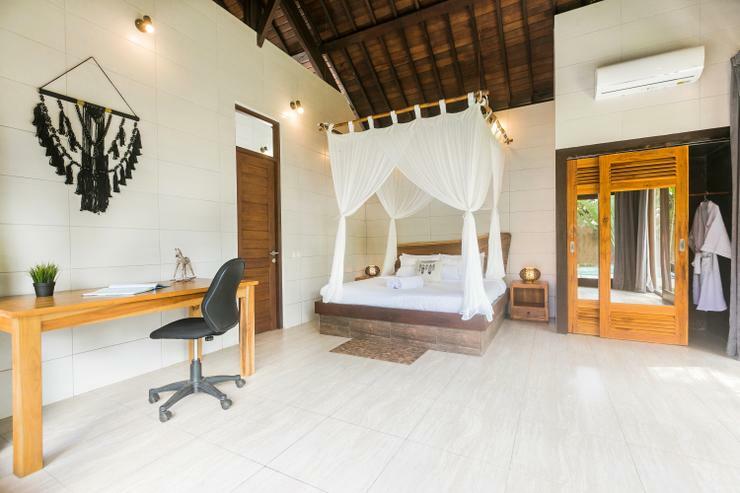 Master bedroom also features a comfy working desk. 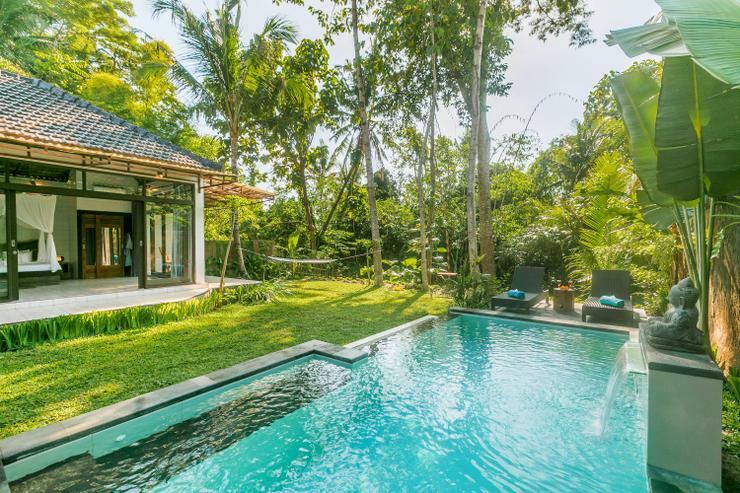 Located in Ubud, Bali. 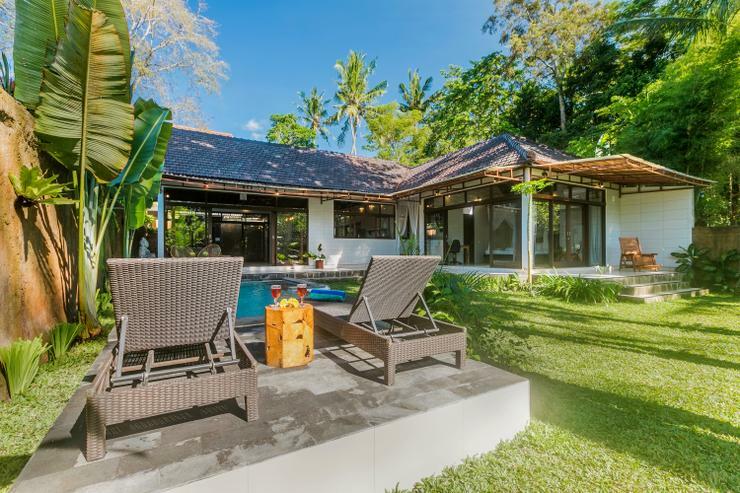 Villa Bayad is a in Indonesia.